Wednesday from 12:00 to 14:00 Studio docente Lo studio della docente si trova al Castelletto della sede della sezione di Sociologia del Dip. FISPPA, via M. Cesarotti, 10/12. Il ricevimento di mercoledì 17 aprile è posticipato alle 14.30. La docente è disponibile a seguire tesi che si occupino di strumenti di rilevazione per le indagini sociali, analisi del contenuto di testi e analisi statistica dei dati testuali. Gli studenti interessati a discutere un progetto di tesi possono utilizzare l'orario di ricevimento o chiedere un appuntamento via email. Arjuna Tuzzi (Cormons, Gorizia, 1970) is Full Professor of Statistics for the social sciences at the Department of Philosophy, Sociology, Education and Applied Psychology (FISPPA), University of Padua (Italy). She has a Ph.D. in Applied Statistics for Economics and Social Sciences and teaches Social research methodology and Social Statistics for undergraduates and graduates in Communication Studies (Bachelor’s degree and Master’s degree), in Human rights and multi-level governance (Master’s degree) and Ph.D. students in Social sciences. She also taught at the Universities of Trieste, “Ca’ Foscari” Venice and “for Foreigners” Perugia (Italy). She has been a visiting scholar at: Department of Italian Language and Literature at the National and Kapodistrian University of Athens (2017), Institute on Communication and Inclusion – Syracuse University (2012) and, in the frame of the Teaching Staff Mobility Programme, Institute on Linguistische Datenverarbeitung (Computational Linguistics) – University of Trier (2012, 2014). She worked also at the Department of Statistics – Università of Glasgow (UK) and at the Department of Economics and Statistics – University of Trieste (Italy). Her main research interests concern: statistical analysis of textual data (content analysis, quantitative linguistics, text mining, text clustering, authorship attribution, chronological corpora), data collecting tools for social survey (question wording, survey design, non-sampling errors), statistical methods in evaluation, electoral data and political-institutional communication. She is a member of GIAT – Interdisciplinary Text Analysis Group and of the board of JQL – Journal of Quantitative Linguistics. Since 2012 she has been a member of the Council at large of IQLA – International Quantitative Linguistics Association and for two offices (2014-2018) she has been the President of IQLA. 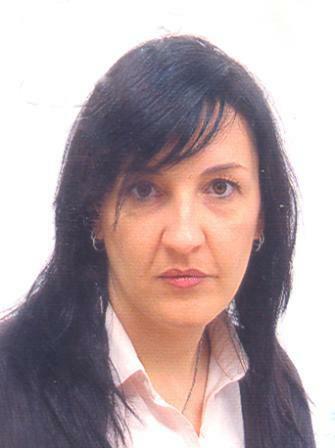 Since 2017 she is a member of the Management Committee of the Cost-Action CA16204 Distant Reading European Literature. - political communication, public speech, institutional discourses. Inquiries, Department FISPPA, Sociology division. M. Trevisani, A. Tuzzi (2018), Learning the evolution of disciplines from scientific literature. A functional clustering approach to normalized keyword count trajectories, Knowledge-based systems, 146, pp. 129-141 (DOI 10.1016/j.knosys.2018.01.035, ISSN: 0950-7051). A. Tuzzi, M.A. Cortelazzo (2018), What is Elena Ferrante? A comparative analysis of a secretive bestselling Italian writer, Digital Scholarship in the Humanities 33(3), pp.685-702 (DOI:0.1093/llc/fqx066, online first 19 January 2018 fqx066, https://doi.org/10.1093/llc/fqx066, ISSN: 2055-768X 2055-7671). A. Tuzzi, M.A. Cortelazzo (2018, eds), Drawing Elena Ferrante's Profile. Workshop Proceedings, Padova, 7 September 2017, Padova University Press, Padova (ISBN: 978-88-6938-130-0). S. Sbalchiero, A. Tuzzi (2017), Italian Scientists Abroad in Europe's Scientific Research Scenario: High skill migration as a resource for development in Italy, International Migration, (DOI: 10.1111/imig.12340, ISSN: 1468-2435, online first 9 May 2017). M.A. Cortelazzo, A. Tuzzi (2016), The First End-Of-Year Address by the New President of the Italian Republic Sergio Mattarella, in: Kelih E., Knight R., Mačutek J., Wilson A. (eds), Issues in Quantitative Linguistics 4 / Studies in Quantitative Linguistics 23, RAM-Verlag, Lüdenscheid, pp. 135-149 (ISBN: 9783942303446). S. Sbalchiero, A. Tuzzi (2016), Scientists’ spirituality in scientists’ words. Assessing and enriching the results of a qualitative analysis of in-depth interviews by means of quantitative approaches, Quality & Quantity, 50, pp. 1333-1348 (DOI 10.1007/s11135-015-0208-y, ISSN: 0033-5177, online first maggio 2015). A. Tuzzi, M. Benešová, J. Macutek (eds, 2015), Recent contributions to Quantitative Linguistics, De Gruyter Mouton, Berlino, series: Quantitative Linguistics n.70 (ISBN: 978-3-11-041987-0; ISSN: 1861-4302). M. Trevisani, A. Tuzzi (2015), A portrait of JASA: the History of Statistics through analysis of keyword counts in an early scientific journal, Quality and Quantity, 49, pp. 1287-1304 (DOI 10.1007/s11135-014-0050-7, ISSN: 0033-5177, online first aprile 2014). S. Campostrini, G. Ghellini, A. Tuzzi (eds, 2015) Con senso di misura. Riflessi statistici da alcuni allievi di Lorenzo Bernardi, CLEUP Padova (ISBN 978 88 6787 393 7).